JB and I went out to lunch with my sister. We picked this restaurant that is super famous for Unagi (BBQ eel). They have been in business since 1856! That must tell you something, right? 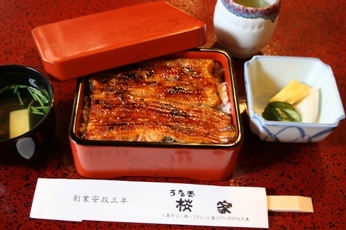 Everyone agrees that Hamamatsu is THE place for unagi, however, my home town of Mishima has been also known for them as well. 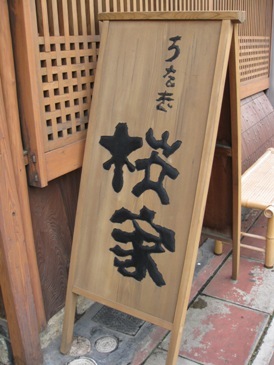 The main difference is that Mishima eels are cleansed in super clean water from Mt. Fuji before being grilled. We could definitely taste this effect. There was a really clean flavor of the fish, and the texture was very light and soft - almost like "melt in your mouth". The sauce (sometimes it can be really heavy and sweet) was just exquisite. I fell in love with this fine dish. I must go back for a second next year!